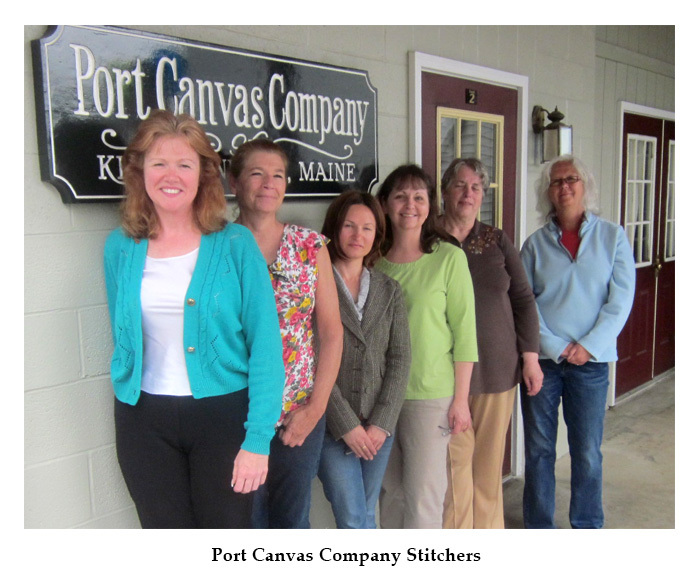 Every product ever produced by Port Canvas in its 50 years of doing business has been manufactured here in Maine by hand, by one stitcher, one product at a time. “Find the center” our Kathy says, referring to the pieces of canvas that will ultimately become a finished product. “If you have the center and the centers line up you will have a properly dimensioned product every time.” It is a simple concept. 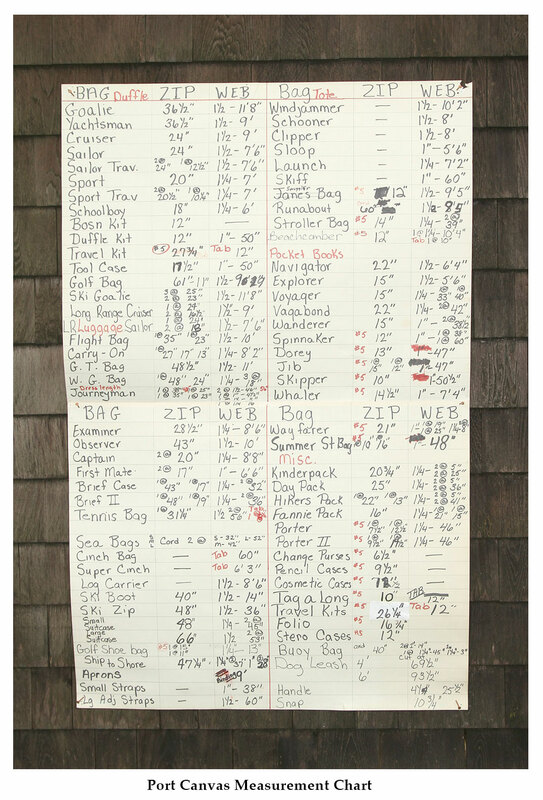 Since 1968, when scraps from sailcloth were fashioned into tote bags and duffel bags at our Dock Square location in Kennebunkport, we have been lining up the centers for thousands of products. The measurement chart reflects that simplicity. For years it was displayed in the barn on Beech Street in Kennebunkport and served as our brochure and reference for product dimensions. Kathy still refers to it for the length and width of webbing necessary for the handles on Windjammer or Clipper Totes, or Sailor Duffels. It also reflects the time tested nature of our products as almost all of the items on that sign are still produced today. After the precisely cut pieces are accessorized with zippers, tab, etc., they are fashioned into the finished product by one person. This leads us to quality control. Each stitcher writes her initials on the label inside that product. It is her product (and soon to be yours!) Her initials establish accountability (the production manager can tell who is responsible for the product) and pride (I made this bag). 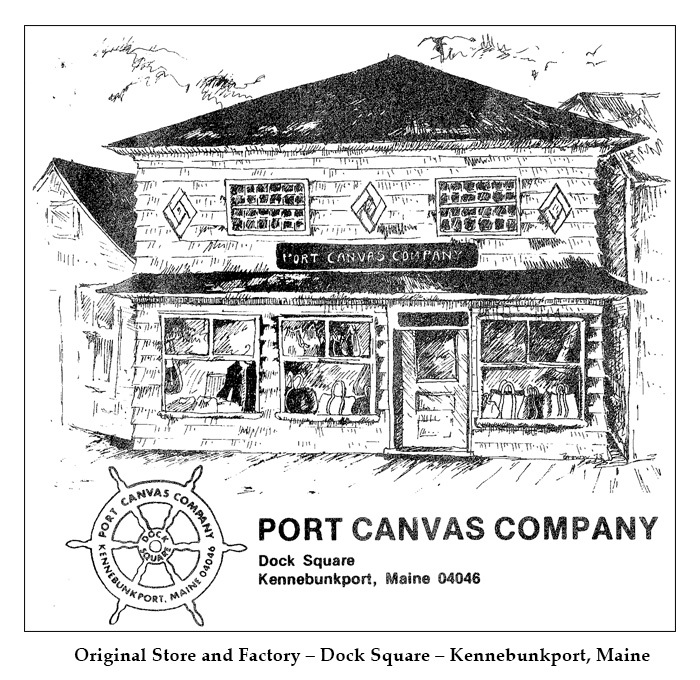 We hope you will find yourself becoming a Port Canvas customer for life!